Today, we have all the tools necessary to rapidly grow established communities, allowing us to track and optimize almost anything. But the tools that help us scale communities are not what allow them to take root in the first place. So what does it look like when a community founder scraps the automation and optimization for manual introductions and hard-to-analyze open-ended questions? And what are the specific benefits of focusing on individual interactions and things that don’t scale? I wrote this to detail the thinking, tactics, and benefits behind our approach to building community around Dwilly’s early adopters, because these are the secrets of how strong, engaged communities begin. How to determine the importance your users place on community, and how you can tailor your company’s copy to encourage the most community-minded people to join. How you can design your onboarding process to illuminate new user insights and encourage stronger initial connections. Why founders should lead early community engagement efforts with tactics that don’t scale, in order to maximize the insights they have to improve their product. You shouldn’t be taking shortcuts when it comes to understanding your community. If you’re looking to better engage your users, understand how their use your product to maximize future growth, or if you simply want to see a founder get their hands dirty in the early stages of community building, get ready because I’m about to show you how it’s done. Growth is just… so… damn… tempting. As founders working on an early product, we usually end up aiming for growth before we really know what it is we’re even trying to accomplish. We want to believe we already have everything figured out. It’s almost impossible to realize that you’re not as far along in your understanding of the people, problem, and product as you think you are. I, too, started down the flawed path of trying to grow too soon. I quickly realized it was a huge mistake, and then I managed to change course, engage my early users, and gain a ton of actionable insights from new users and create valuable new relationships in my community-centric product. Before I launched my startup Dwilly, I signed up a nice list of early users, curating exactly who came onboard. This made it easy to build a sense of community into the early platform, as those who participated got to know one another more deeply. But for the actual kickoff, I knew I had to add more users, and continue doing so steadily. 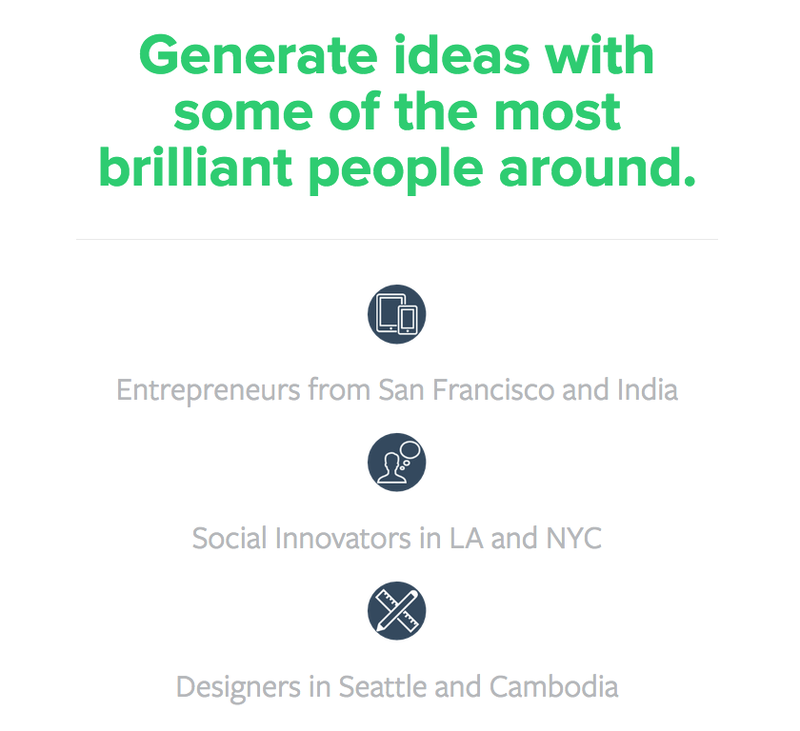 So a few weeks ago, I posted Dwilly on Betalist, a site for startups looking for beta users. Knowing there’d be some level of traffic surge from the two sites, part of me really wanted to build in a viral sharing component to capitalize on the moment. The easiest thing I could’ve done would be to set up a simple email automation referral program. As soon as someone signed up, I could send them a welcome email. It could still sound personal, and it could include a call-to-action like click-to-tweet, or share on Facebook, or forward for a free ebook, or something. It was manual, and it was also sort of indecisive, like an ask without a super simple next step. Half-committed is never the right approach. Then I began to think on a more personal level. 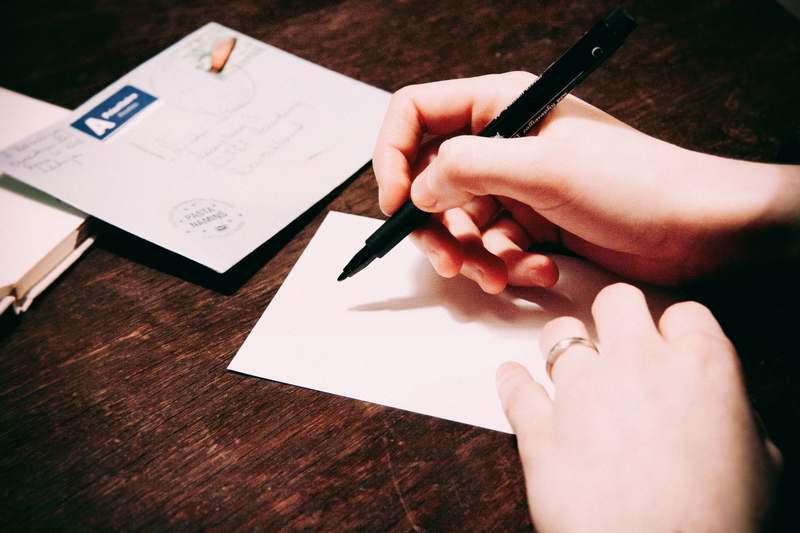 I started copying and pasting the content and customizing it for each recipient. I’d only collected email addresses in order to boost conversions, but I did the best I could. This process was time-consuming but fun. I got to check out people’s design portfolios, startups, blogs, etc. After around 50 emails, something just clicked. I started to see patterns emerging and learning new insights. This realization would never have happened if I had automated everything. I realized then that it didn’t make sense to get referrals or to aim for compounded growth. At this point, I needed to not think about growth. I needed to figure out why people were coming onboard. If I didn’t know why they were joining, I’d most likely lose them anyway. When you’re building a community, the most important thing you can have is a feel for the people who are joining you. But I was signing up around 100 new people each day at that point. Apart from the fact that they likely had an interest in new startups and had clicked through a couple of content filters (Betalist blurb, landing page, signup), I didn’t know exactly who they were or why they signed up. Next, I took a nod from Alex Turnbull’s commitment to his users at Groove. 2. Interest in the individual practice of idea generation (what my community does together). These two components didn’t come out of nowhere. When I ran the alpha test for Dwilly with a small group of friends and family, I included a little experiment. On the first day, I sent a recap email to everyone that highlighted some of the most promising creative ideas from the day, gave an overview of common themes, and shared a couple unique findings. On the other days, I didn’t share anything with anyone and people said that they missed it. The more I thought about what this meant — and talked to potential users in real-life — the more I realized the community interaction needed to be a critical component of the product and the way that I presented it. While the new copy was helpful for drawing in more people, the site still had some intentional vagueness on it, so it was critical to find out which parts actually stood out so I could improve from there. Again, I turned to my new members and asked them what they thought. This is when I started asking something different in my initial emails. There’s definitely overlap between the two groups, which seems only natural when you have people who want to generate new ideas in pursuit of new products/services. They also matched up pretty closely with the two main concepts I was curious about: idea generation and community. Plus there were a small number of people who offered helpful unsolicited advice and feedback. Here’s what people taught me. The practical payoff of these types of comments is incredible. It has completely shifted my thinking. I’d argue also that these emails will lead to more conversions and engagement over the long-term than if I opted instead to have them refer one or two people to a service they hadn’t even used yet. This feedback loop makes Dwilly better. Something I actually hadn’t anticipated was the number of references to some of the related services out there, and the enthusiasm people felt for something better/different. I’m keenly aware of the problems related to how people use ideas to innovate. But what I liked most was the reminder that this is a really interesting and challenging space. It’s a nice place to call home, especially with all of these incredible people. I definitely could have sent 300 automated emails instead of staying up late every day reaching out to every new member of the community. But as I see it, freeing up those few days would’ve meant running in the dark for months. Manually sending hundreds of emails, and customizing where appropriate, is anything but practical. The value is something simultaneously tangible and intangible. I can feel the group’s pulse. And for that, I’d send every email again.